It’s been a little more than a month since I posted here despite the fact that I promised myself to post at least once a week but I guess a busy work schedule and family obligations are getting in the way. On May 17th, I attended my first latte art competition at The Coffee Box in Plainfield, NJ. 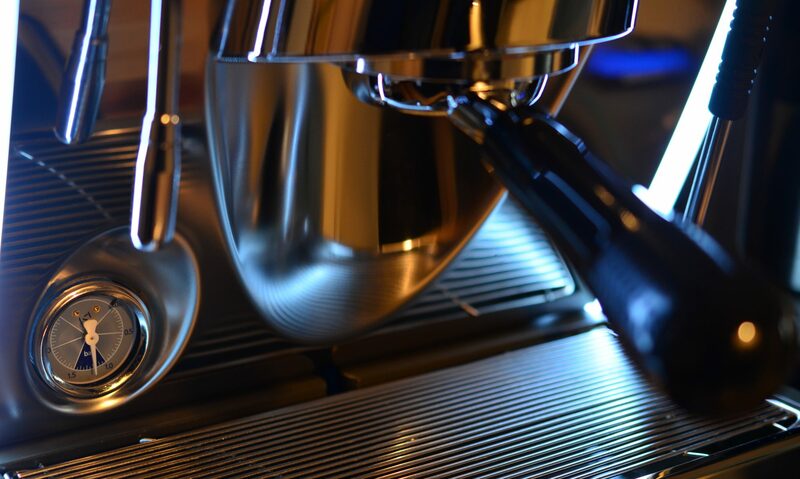 The cafe is nicely decorated and well equipped with a Mahlkonig Twin and a La Marzocco Linea 2 Groups. Also, the owners and baristas were cheerful, friendly and just awesome. Since this was my first time, I really did not know what to expect. I did not know what the rules are or how the winner is determined. Nevertheless, I paid the $5 to pour (free to watch) and wrote my name down. A short while later, the rules were announced and each round included two baristas. For the first round each Barista needed to pour a heart and then a panel made of 3 judges voted on the better design of the 2 cups (one for each Barista in the round). Unfortunately, I haven’t poured a heart at home in a long time and so I was out of practice and was eliminated in the first round! However, I won the first raffle prize and I had a choice between multiple items and I chose a delicious Bolivian coffee from Intelligentsia. Just winning the coffee made my whole night, I never win anything in raffles so I was excited to have won something. Aside from the coffee, the whole night was great. People were so much fun to hang out with and strike a conversation. Also, it is always nice to meet like minded folks with the same interests and hobbies and share information and knowledge. Even though I was eliminated after 15 mns of the competition kicking off, I stayed till the end to enjoy the coffee and art. The winner of the latte art competition won an Acaia Pearl scale (Acaia was one of the sponsors), which was awesome. I’m looking forward to the next one, can’t wait!